Rare Tee 05 is now available for your collection. 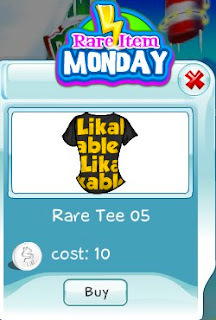 This tee has the word 'likable' on it so you can tell everyone on SecretBuilders how likable you are. This tee is only available today so act quickly before it's gone.